Bonjour! My name is Ed and welcome to Ed Carlo Garcia Wedding and Portrait Photography serving the San Francisco Bay Area, LA and Orange County, Hawaii, and destinations. I'm based in San Jose / Santa Clara / Los Gatos area but for destination weddings, I've traveled to the Philippines, Hawaii multiple times, Cancun, several other US states outside of California, and will soon be traveling at a Disney Cruise for a wedding in the Bahamas. I am also a certified and commercially license drone pilot for more than 2 years. See below for some samples of weddings! I been doing photography for 8+ years and had always curious what makes a beautiful photo. I look to give you vibrant, fun, dramatic, emotional, and story telling documentary photos as you need and want because all those can happen throughout the day. I love all genres of photography where people are involved because I enjoy making connections. My cousin asked me at a wedding one time where he attended, "wouldn't you rather be a guest?" and I said "being a photographer is better because I get to meet everyone!" Side note, I love photography and I recently saw Hamilton the American Musical (which was amazing), thus the logo of me standing on top of the star holding a camera below, to show two things I love. I got lucky that I was able to watch the show for free because I volunteered at a Hamilton Charity event. If you haven't seen Hamilton yet, it's an amazing show with lots of easter eggs that you can research to learn more about American history. People have described my photos to be clean, modern, fashion inspired magazine style photos. And that's certainly what I strive for, something relevant to today's look, yet timeless, to make your day memorable and even hopefully better than what you had imagined. This is what I believe makes my photos different than others. I'm a photojournalist, portrait artist, fashion photographer, product photographer, headshot photographer, family photographer, and wedding photographer -- all in one day -- your day! I'm based in San Jose and the San Francisco Bay Area, and also available for travel. I'm also 2017 an award winning fashion/beauty/editorial photographer (NAHA Competition). Check the 'About Me' section for more info! But if you want to stay in the US, maybe Hawaii will do? By the way, that's Mr. Olympia (2011, 2012, 2013, 2014), Phil Heath, 2nd to the right! And last but not least, the celebration of love! My work has been seen in publications such as Bridal Guide Magazine, Project Wedding, CBS Los Angeles, Orange County's Coast Magazine, Bay Fashion Magazine, Ikon Magazine, Pump Magazine, Content Magazine, Mountain View Patch, Silicon Valley Business Journal, Harper's Bazaar, Borrowed and Blue, Nail's Magazine, Salon Magazine, Nailstyle Magazine, Launchpad Magazine, Sweet Wedding, Shark Tank, and have some upcoming publications with The Knot websites and magazines. My photo is on Shark Tank! Marquez and Ondrea went on Shark Tank and my photo was on the show. Sunaina Sinha from Cebile Capital was interviewed by Harper's Bazaar and my photo was published with the interview. See the article "Breaking the Glass Ceiling in the Financial Sector"
Package pricing starts at $2750, and packages come with an optional custom designed wedding album for you to remember your special day. Engagement sessions start at $850. A la-carte pricing starts at $1500 if you want to make your own package. Because each situation is different, we can customize pricing for your wedding. I'm available for destination weddings such as this one! Excited? You might even say you're Ecstatic! Contact me here to book your date because sometimes I can book well in advance. Family portrait pricing starts at $400. 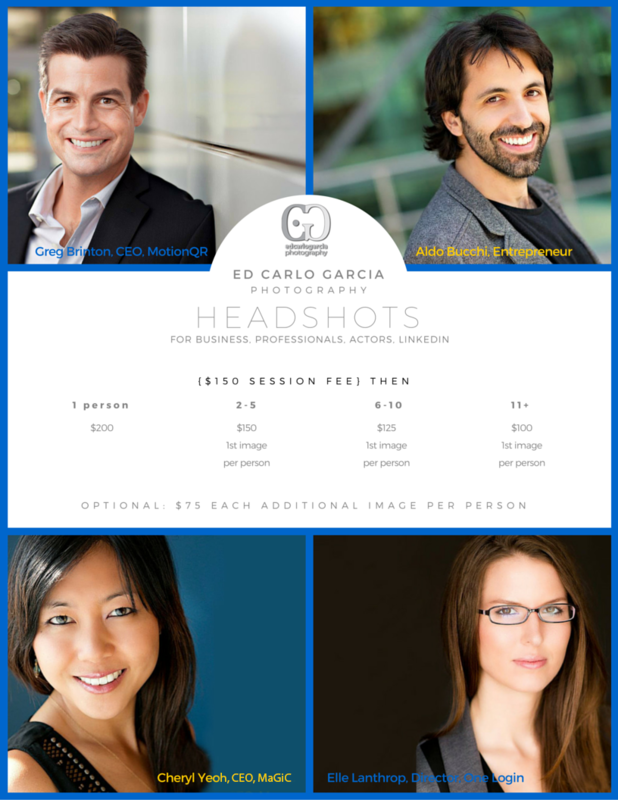 For full list of packages, see the portrait pricing guide. For High School Senior Portraits and teen portraits in the SF Bay Area, you can read more in the FAQ. Model portfolio packages start at $450. Need wedding videography/cinematography? Check Weddings and Motion! Hello! I believe there's a great picture in all of us. And I'll make that happen for you! :) I got into photography when I was about to get married and had to hunt for a photographer. The photographer we chose inspired me to create work in the lines of people instead of landscape. Since then, many photographers have inspired me -- I take what I learn from them and apply it to my pictures. My style is natural, clean, and crisp beautiful looking portraits with a hint of fashion -- you can think of it as an eclectic mix of the what's best in the best styles of photojournalism, detail, and classic and lifestyle portraiture. For weddings, I love capturing all the moments that the couple experiences which remind me of my very own wedding. In portraits, I love to capture the essence of person. In 2017 our team won the largest national beauty competition for our Game of Thrones inspired beauty editorial -- it's a fashion/beauty/editorial competition (hair, makeup, nails -- we were the nail fashion category). 120 judges went through submissions and picked ours for our category. See the Professional Beauty Association NAHA page and an article about the win in Nails Magazine. The picture below is us on stage! (The model is Jacqueline Hatch, Phoebe Dingman, makeup artist on the left, Rochelle Dingman, from Shear Fashion Salon, Nail Artist of the Year 2017 in the middle, and me on the right). In 2019 we were finalists once again in the NAHA competition. We didn't win this time around, but it was still a great experience. I've written a blog post about NAHA 2019 here. Credit: Photo below is from a screen capture from the Professional Beauty Association NAHA 2017 video. As you can see, it was a packed house at the Long Beach Convention center. These are our finalist photos for NAHA 2019 being announced on stage. Connect with me on Facebook, Instagram, Send me a Message on Facebook, or Email me to find out more and book your next wedding or photoshoot! Weddings, Engagements, Elopements, Civil Ceremonies, Anniversaries, Destinations, and other events. Wedding photography is based in the San Francisco Bay Area and available for travel. Photographer for SF Bay Area and Beyond! I've also traveled for photos in destinations such as Hawaii/Waikiki, Cancun Mexico, Cebu Philippines, Denver Colorado, Phoenix Arizona, Los Angeles, Portland Oregon, London England, and the Bahamas for a Disney Cruise Wedding.